It sure is a tricky captains pick this week. For the last 3 weeks we've had big gimmes with either Suarez or Aguero facing easy opponents. This week both the two form players facing tough ties, Arsenal host Southampton, leaving only Manchester United with an easy tie on paper out of the top scoring clubs. Man City's hot forward is the leading player in our point projections for GW12 and we have to say we trust these to see us through some difficulty decisions but Tottenham's defence is rightly lauded this season and they have only conceded 1 goal on the road. This doesn't mean they haven't conceded chances though. Using our expected goals model we've seen that away from home Spurs are averaging 0.95 goals against per game. This is only 7th in our away defence rankings (they are ranked 1st at home). City rank 1st at home for attack so we expect them to score and Aguero to be in the mix. Suarez is the popular choice and favourite in polls and he has been in irrepressible form - expect away against Arsenal where he was...erm... repressed? He had good chances to score at the Emirates though but Everton have shown they are a tougher team to score against this season. The projections are against Suarez too, projected to score 5.6 points to Aguero's 8.4, quite a big difference. Another twist in the tale is Suarez's involvement for Uruguay late on Wednesday evening and Liverpool's early kick off on Saturday morning. It has to be said though his fitness is second to none and he has not suffered in the past following international duty. This is the game amongst the big teams where the most goals are expected and you'll see Rooney ranks slightly ahead of Van Persie in our ratings and projections due to significantly more chance of an assist to go along with a decent goal threat. Van Persie is the bookies' favourite to score anytime this weekend with Loic Remy and Rooney placed second. Aguero and Suarez tied in third along with Giroud and Eto'o. The bookies are giving Cardiff odds for a clean sheet at 9/2, interesting the same price as for Tottenham at City. Everton are more fancied for a cleanie versus Liverpool, with odds of 13/5 to do so. Can we conclude this one easily? Not really. The GW12 captaincy will come down to gut feeling and luck on the day. On top of the bookies odds and our own stats each clubs mentality has to be considered. The two away teams we have mentioned, United and Liverpool, are much more likely to go for a win compared to Spurs who will probably not be too adventurous against City. Maybe it won't be all that important in retrospect as all these players will likely score within a few points of each other. Indeed GW12 might be a good week to go against the grain and captain someone like Remy or Sessegnon if you have them. The captains choice might be tricky but for more of a sure thing this weekend our new betting and statistical expert Oliver Page has lined up his three best bets for the weekend. Last week he got of to winning ways and had a 183% return from his selections. You check out his tips for GW12 here. 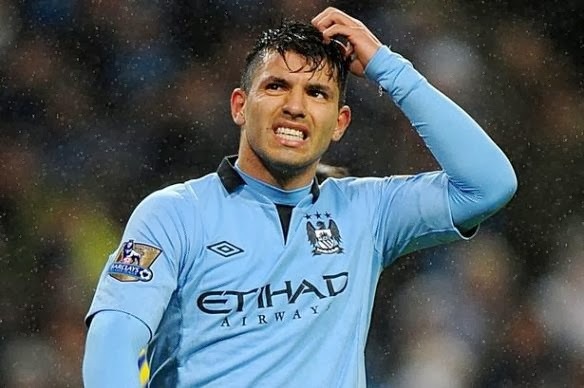 For our own FPL captain we'd likely have gone with Rooney/RVP if we had him but our choice was between Suarez and Aguero. You can see who we picked and the rest of our team as usual in our free newsletter which goes out each week on Friday at 2pm. Fancy a bet this weekend? We take a look through some of GW13's best prospects.